Let us guess: your friends, relatives and neighbors dropped by during the holidays bearing individually wrapped chocolates, homemade cookies, pumpkin pie and more. Delicious as they undoubtedly were, at this point the sight of one more sugary concoction might send you over the edge. 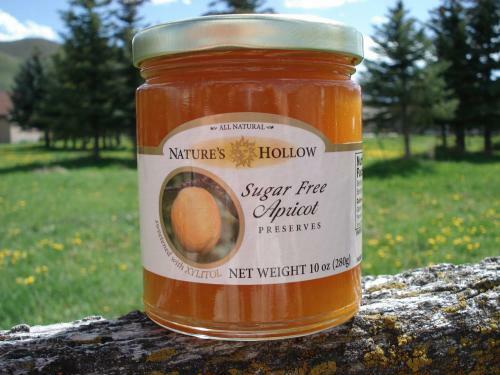 Fortunately, the Yelm Cooperative has an antidote: sugar-free jams, jellies and preserves from Nature’s Hollow. The company also makes honey, maple syrup and an all-natural sweetener that are perfect for anyone looking to tone down their sugar intake. As an example, while regular maple syrup has 53g of sugar per serving, Nature’s Hollow maple syrup has zero. 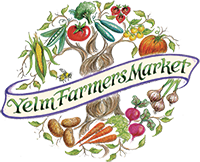 Visit the Yelm Co-op and pick up a jar or two and kick off your new year on a healthy note! As the Pacific Northwest winter closes in, you may find yourself dreaming of warmer – nay, hotter – climes. Greece, for example, or possibly Lebanon may come to mind. Don’t fight it. Just throw on some culturally appropriate music and crank up your woodstove. Now you have the perfect setting for delicacies from Exquisite N Traditional, an Olympia-based company specializing in middle eastern products. Owner Habib Serhan was born in Lebanon and his recipes were passed down by his mother and grandmother. Currently, The Yelm Food Cooperative carries their all-natural hummus made from garbanzo beans, squeezed lemon juice, olive oil, fresh garlic cloves, tahini and sea salt. Habib also makes another delicious dish called labneh, a soft cheese made from strained yogurt. The latter makes an excellent low-calorie alternative to regular cream cheese. The yogurt is made from natural, growth hormone-free milk, which is then combined with olive oil, sea salt, garlic, dried mint and cucumber. Look for it in the refrigerated section near the produce. Sometimes, when boy meets girl, gluten allergy meets lactose intolerance. That was the challenge facing Ben and Annie when they started dating. “We both had a slew of allergies and food intolerances. It was a match made in heaven!” says Annie. 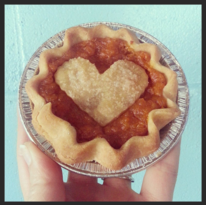 Their creative solution was to open their own business, the Olympia-based Pockets Full of Pie. Currently at the Yelm Cooperative, you can find their personal pumpkin pies in the frozen desserts section along with other goodies. All of their products are vegan and made with natural ingredients and they solemnly swear that none will taste like cardboard. The pair will continue to add seasonal treats to their menu, so keep your eyes peeled. “Everything on the menu is made from scratch with lots of love and care,” Annie reports. Products are also dairy, egg and soy free.